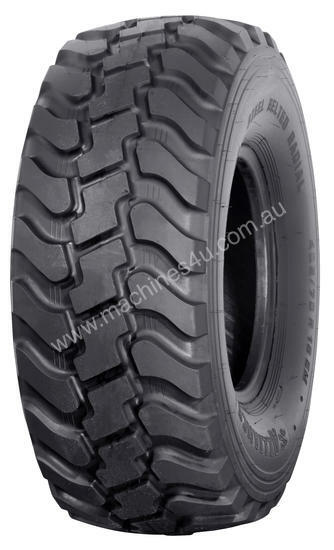 Modern low section tyres for light earthmoving equipment, in steel belted and all steel radial construction. The unique non-directional tread design suits on and off-the-road service, and cleans itself easily. High mileage, best traction, fuel saving and ride comfort are some of the advantages. "Tyres4u are a nationwide distributor of agricultural tyres, call us today to be put through to your local dealer"
Tyres4U is a BRW top privately owned Australian company, specialising in the import and distribution of tyres. Tyres4U operates 18 branches in Australia, New Zealand and Papua New Guinea. The product range includes 16 brands and covers applications for passenger, 4WD, truck, agricultural, Industrial, earthmoving, off the road and special purpose tyres.